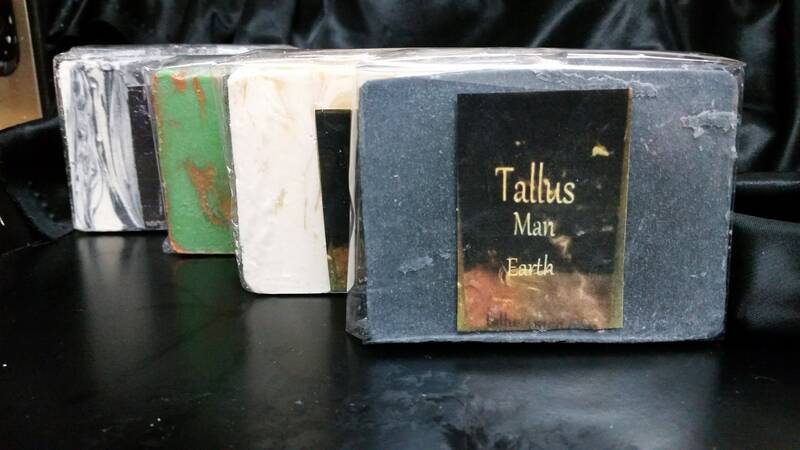 Tallus4Men Line of all Natural Goats Milk Soap in 4pack. four great scents made for men. Our Goats Milk Soaps are made with Fresh Nubian Goats Milk, Olive Oil, Coconut oil, Shea Butter, Palm oil castro seed oil, and colored with mica's, clay's,and or soap safe colorant.scented in essential oil, oe an e/o blend. 1.Earth: added activated charcoal, and Dead Sea Mud, scented in spearmint/peppermint.